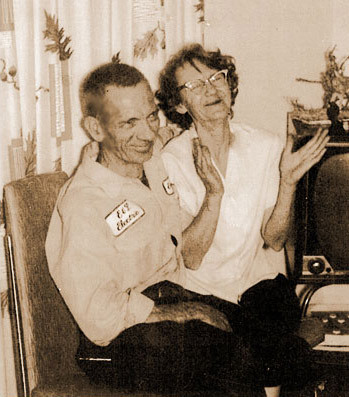 E & L Electric was originally started by husband and wife Everett & Emma Lee Fitch back in 1959. Everett worked for a motor shop in Los Angeles named Larsen Hoag as a motor winder from 1950-1961 while Emma worked for the same company from 1957-1959, also as a winder. The story goes that Emma was winding as fast as Everett but they would only pay here half of what Everett was making. When she went to ask for a raise they refused, Emma quit, and E & L Electric was born. E & L Electric started out of a garage in South Gate, CA, then moved to the corner which was about 1000 square feet and later two doors down to a 3000 square foot building where they stayed until 1998. Emma, or "Lee" as she was known, usually worked ten hours days and trained countless motor winders that are still working in the industry today, two of them right here at E & L Electric. She was very active in the Electrical Apparatus Service Association, EASA® as was Everett. 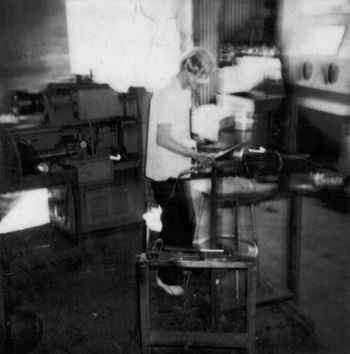 The picture on the bottom right is Lee stripping an armature, with a torch, in her slippers, somewhere in her late seventies. She passed away in 1993 and worked, not because she had to, but because she loved to. After moving to Santa Fe Springs in 1998 the grandson of Everett & Emma took over the day to day operations and is now the President of E & L Electric, Inc. We are fortunate enough to not only have two of the original motor winders from the 1970's we also have a close to zero turnover rate over the last 15 years. Starting out as a contract shop we primarily wound armatures for other motor shops all over the United States and that still remains a small part of our business. Today however we are a full service motor and generator repair shop that has some of the finest testing and processing equipment available to date. While constantly investing in the company and our crew we are always looking for ways to improve as dictated by the needs of our customers. We are currently located in Santa Fe Springs with a property we acquired in 2005. In 2009 we made a decision to modernize the shop and offices and start acquiring the finest support equipment and services available in our industry. We opened our servo motor department and purchased the necessary equipment and software to repair and rewind AC brushless servo motors for the aerospace and automation industry. Training Center used for technical seminars, safety meetings, and staff meetings.